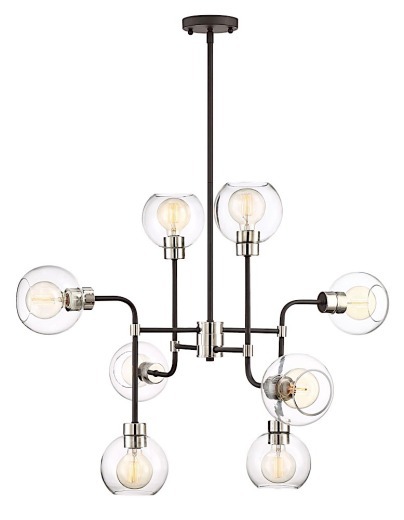 The Ellis chandelier combines a modern and retro feel. 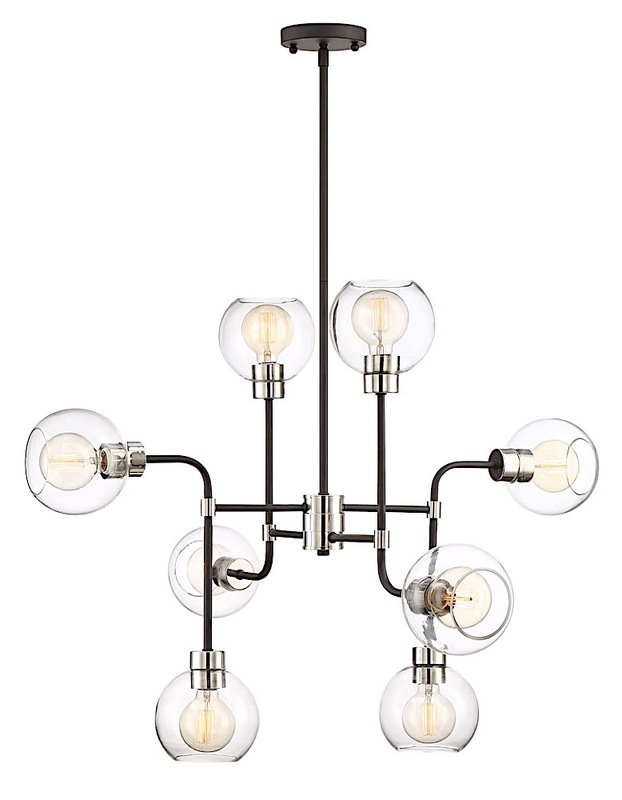 With delicate glass globes extending from metal arms, this fixture is bold, glamorous, and versatile. Glass bulbs emit a warm, welcoming light while vertical threaded rods and metal tubing add just the right amount of urban flair. Available in two sizes - 8 or 12 light. Both accomodate medium base bulbs (not included).